Last blog post we introduced a new system for the Convenience Store: Shutters. Let's take a closer look at how they've mixed things up. The Convenience Store has undergone numerous changes since its inception, but none have been more game-changing than the addition of Shutters. In the beginning, the open Store Front section of the map acted as a sort of no-mans-land. With its huge floor-to-ceiling windows providing long sight lines to both teams, defenders would rarely take cover within, while Attackers avoided moving near the windows out of fear of being sniped. We saw an opportunity to create another soft objective and make these maps more interesting. Defenders now have the option to further secure the Storefront at their discretion. A fortified cashier's register has been added that acts as a safe room. This bunker of a tile almost always has a toggle button for the shutters inside it, so Defenders are highly encouraged to occupy it. In case you were wondering, yes, you can shoot through the small teller slots. With the Shutters deployed, Attackers will be able to safely approach the Convenience Store, giving them more time to set up as a team. Should they wish to snipe through or enter the covered windows, they will have to either make their way to the room containing the shutter toggle button or create their own entrance. Explosive charges can be used to forcefully punch a hole into the Storefront. Attackers will often have to deal with Defenders lurking inside the cashier's room. The door to enter is locked to Attackers, but a shotgun blast to the handle will destroy it, allowing entry. While you could also shoot through the teller slot, a hand grenade makes for an excellent alternative. The Convenience Store is finally nearing the end of its design cycle. There might be some small tweaks to come, but overall we are extremely happy with its current state. We've tasked Grant, our Community Manager, with tracking down bugs in the game as we continue development. He's been recording the silly ones, which we'll be including at the end of each blog post until we've fixed them all! This week, a wall charges goes for a ride. 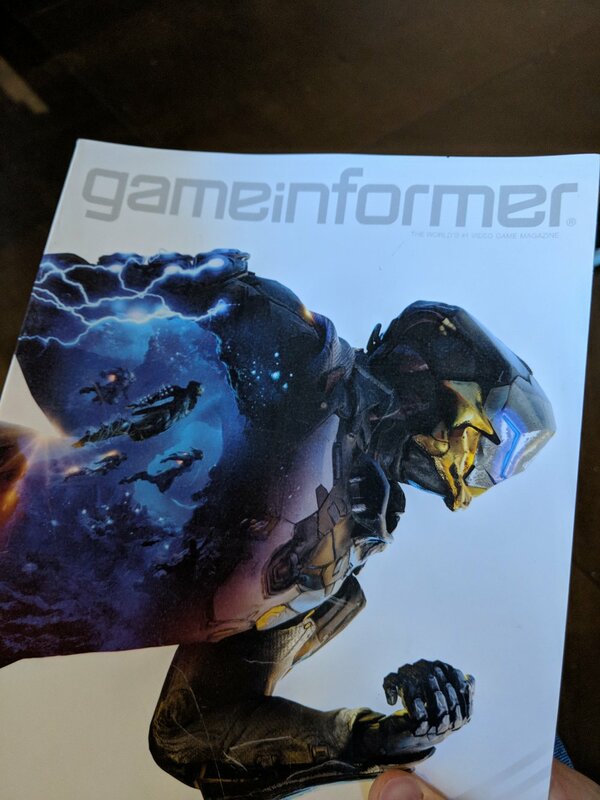 Holy crap, we were in July's edition of GameInformer! They did an article on our publisher, Annapurna Interactive, and included a section dedicated to all the fine games they're publishing, including ours. If you happen to have the magazine, the piece itself is on page 18. This was a big deal for us! It now has a space of honor in the office. Everyone on the team got a copy. Being our first printed article, we honored it with a space next to our planning board. The development of Due Process has always been a team effort, it deserved recognition. The whole team signed it! With his heightened sense of hearing, Timber has become a highly valued asset to the sound design team. That's it for now! With our Community Manager in the office, expect more frequent blog posts about what we've been working on. Feel free to hit us up on either Discord or our Subreddit if you have any more burning questions. Until next time!